This game is really worth to be a Friday's release. 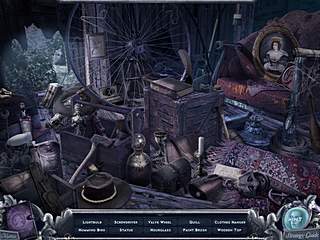 Haunted Past Realm of Ghosts seems to be one of the many hidden object puzzle adventure games about the ghosts. But that's only at first sight. You are going to be nicely surprised with some of the features you get to play with. Pretty soon you notice that you keep spotting ghost of different people including your mom. Just like many times before, you are found by an attorney to be informed that you have inherited a mansion. The mansion is not that good, but it is still free, and you go there to take a look at it. Pretty soon you notice that you keep spotting ghost of different people including your mom. The next thing you know id that you actually have a gift for comunicating with them. That's when your journey begins. From now on you travel from one world to another revealing different secrets and stories. The game is quite unique if you compare it to so many other games of this genre. For example, you can choose of the three difficulty modes, one of which is called Custom. And that means you can choose the difficulty level of certain parts of the game. You can also adjust how you hints and sparkles work. 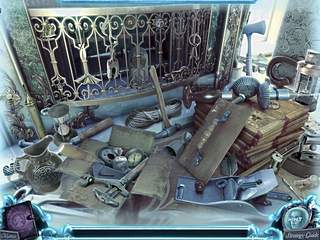 The hidden object scenes are not cluttered with all kinds of stuff that doesn't belong. The adventure scenes tell you when there's nothing to do there, which makes it easier to proceed. The game is really nice, but that's only if you don't mind to see dead bodies. The game is really scarry. What's it take to become a sublime expunoedr of prose like yourself? This is Haunted Past Realm of Ghosts review. Download this game here.